Always a playground for the well-heeled, the Budva Riviera offers beaches, glamour and nightlife galore. This is where the past mingles freely with the present. The town centre is a small, pretty, stone old town that juts out into the sea. You can easily lose yourself in the history of this ancient town. When you exit on the other side, you're thrust into a sea of glittering super yachts which show the Riviera's affluent present. This meeting of ancient and modern, paired with an abundance of stunning beaches and plenty of action makes it the most popular tourist resort in Montenegro. 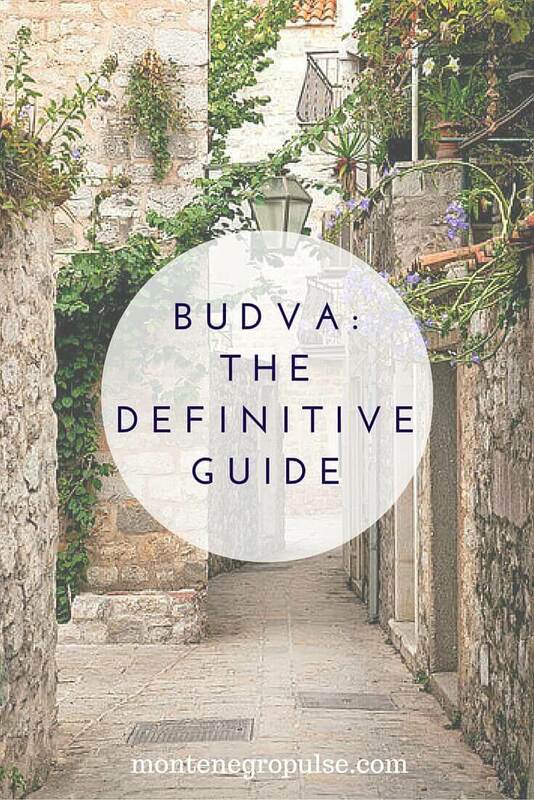 Is Budva for you? Let's find out! The legend of Budva is the tale of Cadmus and Harmonia, who founded the town more than 2,500 years ago. Cadmus was the prince of Phoenicia. While searching for his sister Europa, who was kidnapped by Zeus, Cadmus found himself among the Greeks. Eventually he married Harmonia, daughter of Ares, the God of War and Aphrodite, the Goddess of Love. But Cadmus was tortured by a cursed necklace they'd received for their wedding and they were exiled from Thebes. So they left Thebes and made their way to the Adriatic coast in an ox-drawn cart. They chose the most beautiful place on the coast to settle in and called it Bouthoe/Budva after the faithful oxen (butoe) who drew their carriages on their journey. Despite founding both Bouthoe and today's Ohrid in Macedonia, Cadmus was still troubled by ill-fortune from having killed a sacred dragon and said that if the gods were so enamoured by a serpent, he might wish to be one too. His words were taken literally and he immediately began to grow scales. Harmonia begged to join him and was also turned into a serpent. Local legend says they still live on in the bushes of Budva. 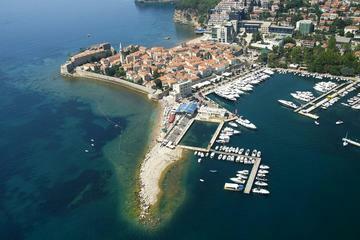 Budva is most famous for it's top notch beaches, but there's far more to this lively resort than just sun-worshipping! The old town is a monument to its ancient past and blends perfectly with the surrounding pebble beaches. Like Kotor, Budva has a gorgeous little old town right on the water. When you look at it, it almost seems to grow out of the water on rocky outcrops that blend seamlessly with the town's stone walls. You can imagine the bustling markets and people of centuries past going about their business as you navigate the narrow streets. These days the town is full of restaurants and boutiques. And in the summer months it's always full of tourists and locals alike. On one side of the town there's a gorgeous pebble beach called Richard's Head (Ricardova Glava) that's busy all summer long. In summer this stretch is full of loungers and party music which epitomises Budva's party vibe. The other side is flanked by a marina full of super yachts and little local fishing boats. The old town has a few attractions, but it's mainly little stores and restaurants. You can get around the whole town and the attractions in about 3 hours. After exploring the old town I would recommend trying one of the good restaurants here and hitting the beach! The citatel is a preserved part of the town dating back to the 15th century. It's a pretty spot but there's not a lot to see. There's a small library, a small museum and you can grab a coffee overlooking the coast. My criticism would be that there's no information provided about the citadel's history so you don't know what you're looking at. For example, in the picture above, the building on the left was built by the Austro-Hungarians as barracks but you would never know this if you didn't read about it elsewhere. On the up side, the entrance ticket doubles as a postcard. The best part of it is the views of the town and Sveti Nikola island. Prime photo opportunity here! Opening times: 9am - midnight May - October, 9am - 5pm November - April. 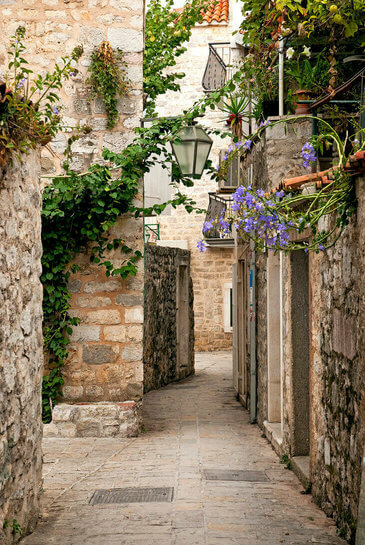 There's evidence that Budva is one of the oldest settlements on the Adriatic coast. 1938 a Roman and Greek necropolis dating back to the 2nd century BC was uncovered next to the old town and there are artifacts suggesting Budva was a settlement right back to the 5th century BC. The museum has permanent exhibitions of archaeological and ethnographic collections. The archaeological collection has displays of weapons, tools, jewelry and everyday objects that were used by the Greek, Roman, Byzantine and Slavs who have all settled here. It also houses the artifacts that were uncovered in 1938. The ethnographic collection shows you examples of traditional clothing, furniture and every day household items that were common in the last 200 years. Opening times: 8am - 8pm Monday - Friday, 10am - 5pm Saturday and Sunday. Entrance: €2 for adults, €1 for children. You should know: The museum covers 4 floors and there are no lifts, only stairs. Near the entrance of the citadel you'll find the entrance to the town walls, which you can walk around. 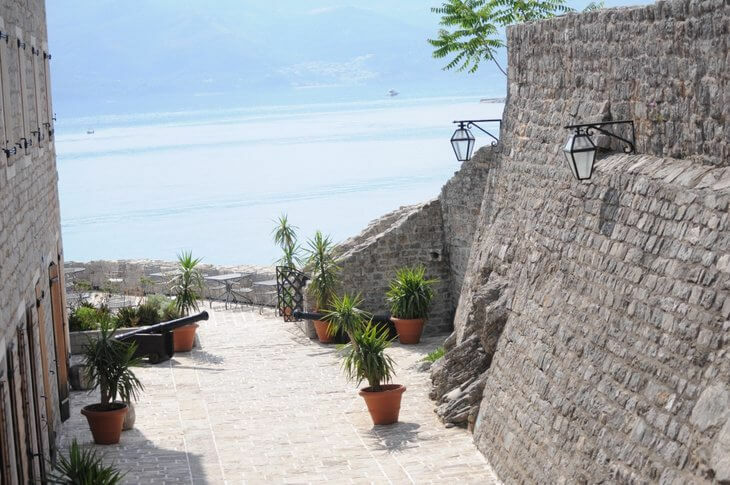 This is the perfect place to get pictures of Budva old town from. There's a little flea market inside the town with about 6 stall selling all kinds of stuff. You'll find old clocks, Yugoslav Army helmets and coins. It's an interesting spot to browse Montenegro's more recent history and maybe pick up a unique souvenir! St. Ivan’s: This Catholic church dates to the 17th century, but parts of it might date back to the 9th century. This church has no regular opening times. St. Mary’s of Punta: This church dates back to 804 but it's rarely open. The Holy Trinity: built in 1804, this Orthodox church has lovely frescoes decorating its walls. Opening times: 8am - noon and 5pm - midnight in summer, 8am - noon and 4pm - 7pm in winter. If you're interested in art, the gallery of modern art has exhibitions and displays of modern art from local artists. Opening times: 8am - 2pm and 6pm - 9pm Monday - Friday, 6pm - 9pm Saturdays. Starting with Richard's Head (Ricardova Glava) beach just next to the old town, Budva has a stunning coastline of beaches just waiting to be explored. There are sandy beaches, pebble beaches, pink sand beaches, buzzing beach bars and quiet coves. Whatever your idea of beach idyll is, you'll find it here. Local's Tip: Our favourite ‘off the grid’ beach is Drobnji Pijesak and you’ll see it signposted on the main road about 2km past Sveti Stefan. It’s a pebble beach with one restaurant and a really relaxed atmosphere. The access road is quite steep, so your best bet is to park at the top of the road and walk down the hill to the beach. You can't miss the red submarines parked in the marina. 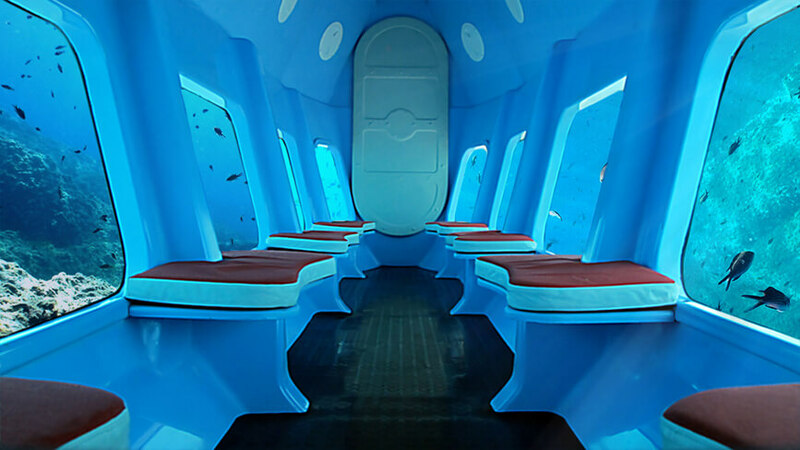 Montenegro Submarine offers glass bottom boat tours along the coast to Becici. There's a wide range of diving experiences, packages and courses available at the PADI dive centre in Montenegro. Even if you've never dived before, you can book a dive experience and learn in just a day. If you've always wanted to learn, you can become a fully qualified diver in just 4 sessions. Hotel Mediteran has a small water park that has 7 pools, a lazy river, slides and sunbathing areas. Entrance: €15 for adults and €7.50 for children under 14. Aquapark Budva is a new water park that opened in summer 2016. The park has 12 slides, 4 pools, a restaurant, cocktail bar and VIP booths. Hours: 10am - 8pm daily from 1st May - 30th September. Adults (1.30m and taller): Full day - €20, 4 hours (after 3pm only) €15. Children (1m-1.3m): Full day - €12, 4 hours (after 3pm only) €8. 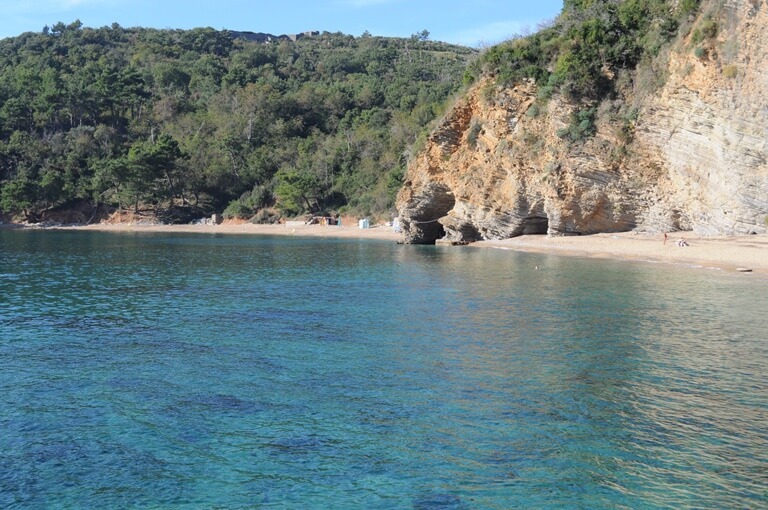 This is our favourite place to step off the beaten path on the Riviera. It's just 5km from town, but you'll feel like it's a world away. The village has a zipline, animals, walking paths, swimming holes, a waterfall and a delightful restaurant. 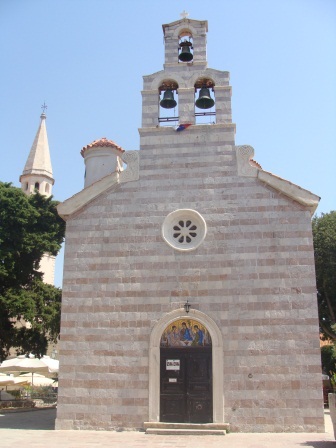 This is a quick tour to Budva that's ideal for those with limited time. You have a private transfer to Budva with some photo-op stops along the way. Then you have about 45 minutes to explore the old town before returning to Kotor. Budva is a 30-40 minute drive from Kotor. This tour doesn't have guided tour of Budva, so it will suit you if you prefer to explore on your own. This tour takes you through Kotor as well as Montenegro's most famous resorts, Sveti Stefan and Budva. These three are the highlights of the Montenegrin coast and you'll take in some of Montenegro's most lovely scenery. The tour includes private guided tours of all three places. This is a great tour to get a flavor of old world Mediterranean Montenegro. 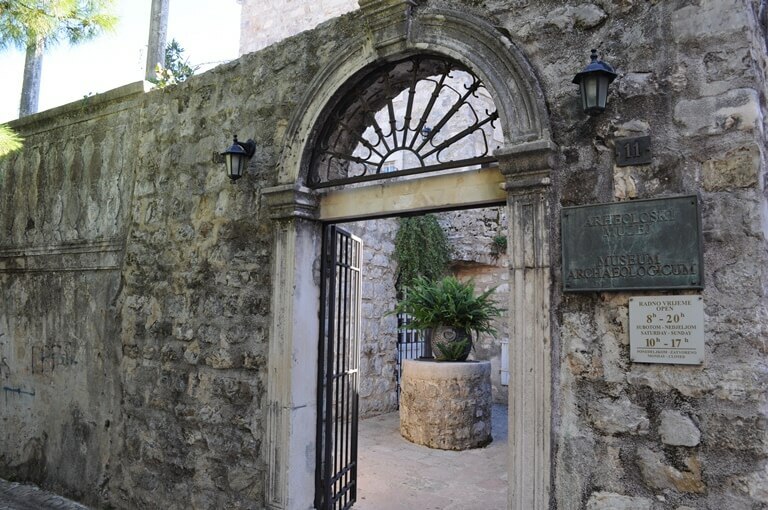 This tour takes you to some of the highlights of Montenegrin culture: Budva, Sveti Stefan, Cetinje and Njegusi. In Budva and Sveti Stefan you'll see some of the most stunning coastline and Budva's old town. 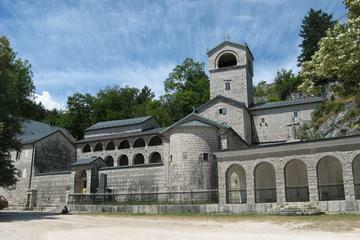 Then you head to Cetinje, the old royal capital before stopping in Njegusi to try Montenegrin smoked ham and cheeses. On the way back to Kotor, you'll take the serpentine road which gives you postcard-worthy views of the Bay of Kotor. The old town is teeming with restaurants and dining options that cater to everyone. Inside the town you'll find authentic seafood and meat dishes at Konoba Stari Grad. And if you're willing to travel a little out of town, you'll find some off the beaten path gems. Budva's wild success has also been partly responsible for its decline in popularity. Outside the old town, the rest of the city has been haphazardly developed and the apartment buildings are piled one on top of the other. If you stay inside the old town you have to be aware that the outdoor bars stay open until 1am and you'll have a lot of street noise day and night. The traffic can be manic here in July and August, with traffic jams and waits at parking lots. It's not exactly the idyllic holiday resort you might have pictured, but if you want to be close to the action staying in the town is the best place to stay. If you can find a place within walking distance to the old town, this will make your life easier. You can also catch a cab, the taxi fare will probably be little more than what you would pay in parking anyway. If you're not sure whether to rent a car during your stay, I've got a guide to help you decide here. Arguably the best hotels in Montenegro are found on the Budva Riviera. This is where you'll find big hotels with casinos, pools and killer sunset views. You can choose from ones close to the town (and the action!) or peaceful locations along the Riviera. If you want to be close to town, the beaches and clubs but are looking for more of a quieter beach resort to stay in, the small villages of the Budva Riviera will be perfect for you. The Riviera extends south along the coast and it's full of little villages that have hotels, beaches and restaurants. Best of all, you can be in town in as little as 5 minutes. Becici is the most popular place to stay. It's just a few minutes from town and has lovely sand and pebble beaches that are great for kids. There's a number of very good hotels in Becici, including the 5 star Hotel Splendid, where part of the James Bond movie Casino Royale was filmed. Przno is the embodiment of Mediterranean fishing village. It's a small cove with seaside restaurants, a pretty beach, rocky islands and a smattering of hotels. It's just 10 minutes from the town centre and it's served by the local bus. 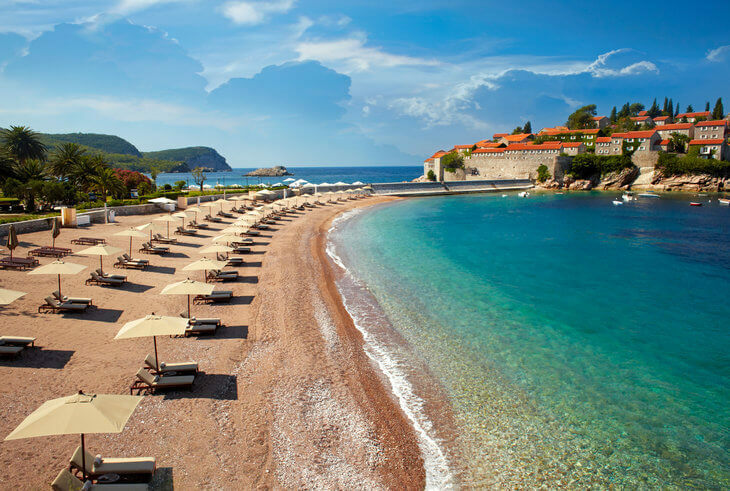 Sveti Stefan's hotel island and pink sand beaches are a must-see in Montenegro. 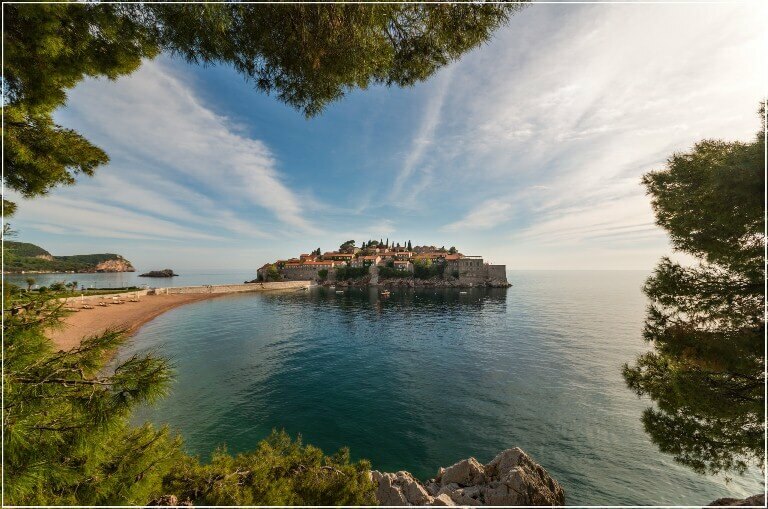 Sveti Stefan is undoubtedly the most famous landmark on the Riviera. Although you can’t go onto the island now unless you are a guest of the Aman Resorts hotel which covers the island, there are ways to explore the area and see this icon of Montenegro. 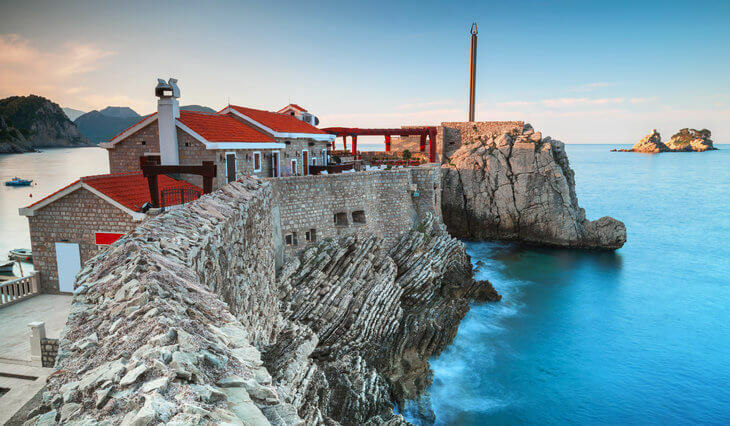 Petrovac is a quieter, more family-friendly option along the Riviera. 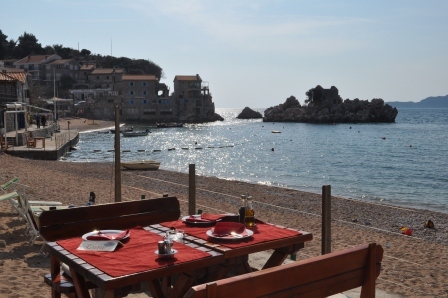 Petrovac is another favourite spot of ours, especially in June and September. The little town is so classically Mediterranean and picturesque. It's got little restaurants in old stone buildings, shops and a walkway along the beach. I'm sure you'll fall in love with it just like we did! The atmosphere here is lively, but more intimate than right in Budva. This is the ideal place for a family holiday on the beach. Petrovac really comes alive for Petrovac Night, held in August every year. The town is filled with music, seafood and wine galore. If you're staying in central Budva and don't want to do much sightseeing, you'll be fine without a rental car. If you do want to sightsee, I recommend hiring a car and you read more about that here. If you don't plan to have a car, you'll need to book transfers from the airport to your accommodation. I also recommend booking these in advance to avoid having to haggle with drivers who hang around the airports. Taking a taxi is notoriously expensive from an airport, especially in summer. Prices triple in summer and drivers take advantage of the fact that you're there with your luggage and don't have any choices. Next to the beaches, Budva is also famous for its nightlife. It goes off! People come from as far away as Herceg Novi to go out here. Most of it starts off in the old town, but with a curfew of 1am, the party really gets started at Tophill after midnight. Greco - indoor and outdoor club music and cocktails. Emporio - outdoor bar along the old town walls. Caballero - outdoor bar in iron gate square, next to the giant bell. Ambiente - outdoor club on the promenade. Beer and Bike Club - part of Jadran kod Krsta restaurant, beer and music, no dancing! Chest O'Shea's - authentic Irish pub owned by an Irish expat. Dukley Beach Lounge - a high-end beach lounge which has themed events. Top Hill is by far the most popular club in Montenegro. It fills with up to 5,000 people all summer. In fact, it's only open in July and August! After the old town bars close, grab a cab up to Top Hill, just 5 minutes from town and party into the wee hours. Top Hill regularly features international djs and has wine, vodka and Jacuzzi bars as well as a VIP area. This is the most popular local club in town and it's the ideal place to mix with the locals. The music is mostly Balkan pop and 'turbofolk' - an ungodly mix of dance and Balkan folk music. They regularly have live performances, mostly local artists, and it's easy to get into the party atmosphere here. Casino Royale - Hotel Splendid, Becici. Open 6pm - 4am and noon to 6am Fridays, Saturdays and Sundays. Avala Casino - Hotel Avala, Mediteranska 2, next to the old Town. Open 24 hours. Casino Queen of Montenegro - Queen of Montenegro Hotel, Becici. Open 24 hours. Casino Maestral - Hotel Maestral, Przno. Open 4pm - 6am and 24 hours on weekends. Do you like to be in a buzzing beach resort where the party never stops? Budva is the perfect place for you. 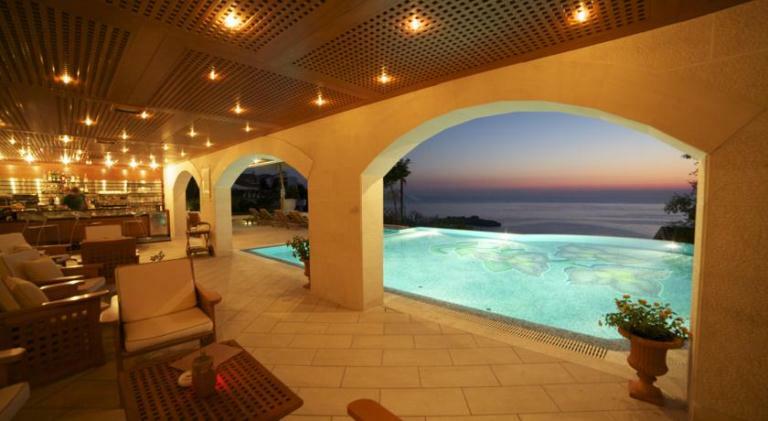 Do you like to stay a little out of town and enjoy a glass of wine while watching the sun set over the ocean? One of the Riviera villages could give you that Mediterranean holiday you've always dreamed of. And the riviera has the best sunsets in Montenegro! Kotor - the most popular town in the Bay of Kotor. Bay of Kotor - stunning beauty, Venetian architecture, few beaches. Tivat - close to all major attractions and home to a super yacht marina. Herceg Novi - picturesque town with the best beaches in the Bay of Kotor. Lustica Peninsula - rustic and rural getaway. Bar - off the beaten path. Skadar Lake - an outdoor lover's dream.